When you set out to create a quilt, the word batting will appear frequently. What is batting? Batting is the soft layer of cotton or polyester that is sandwiched between the top of the quilt or the fabric piecing and the backing or the binding layer of the quilt that gives you warmth. It also provides the quilt with some definition and dimension. The batting material you finally choose will be determined by the look and feel of the quilt that you envisage. So, choose accordingly. Pre-packaged batting is available in standard sizes for king, queen, twin, full and crib sized quilts. If you're making a quilt, this is going to be a great help, because it will help you skip a step. Or, you can buy quilt batting according to your specific needs. Cut it yourself at the store or at home, but enjoy this convenience. 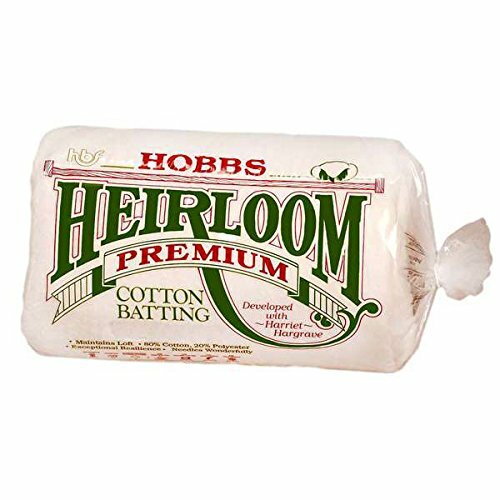 Cotton, poly-cotton or something else? Usually, cotton or polyester is used to make quilt batting, but you could also get a blend of polyester and cotton, or even battings in silk, wool or bamboo. Each has its own advantages and uses. 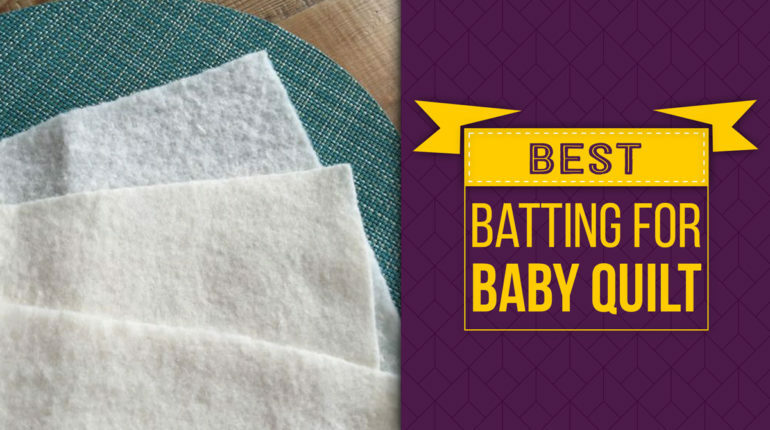 If you're making baby quilts, it's best to go with organic blends or those that are made of recycled fibers. Finally, what you choose is all about your personal choice. The loft of quilt batting refers to its thickness. If you opt for high-loft batting, it means you want a puffed out quilt with the stitching lines highly visible. The opposite is true of low-loft batting which gives you a flat finish, with almost invisible stitch lines. Yet another important factor that will determine what you finally go in for is the price of the batting materials. For instance, polyester is the cheapest in price, followed by cotton, while wool is the most expensive. A lot depends on what use you will put the quilt into. For instance, are you making babies' quilts or duvets, or a wall hanging or quilt or a garment? Polyester and bamboo are good for baby's quilts while cotton is good for garments. So, you decide. This can be a really big concern because not all battings can safely be washed in the washing machine because they break down very easily. Also, check whether you will need to wash it by hand or in the machine. Would you want the batting to shrink after a wash? This product by Angel Crafts is ideal for machine or hand quilting. The low loft gives the quilt an antique look. Pre-shrunk and machine washable so that the batting doesn't separate, beard or bunch up. It is perfect in weight for sleeping and for use as a wall hanging. Low loft batting makes it easy to needle for either hand or machine quilting. Here, the distance between two stitches is eight inches. Though lightweight, it is sturdy. It is amazing material if you're quilting by hand, or even by machine. 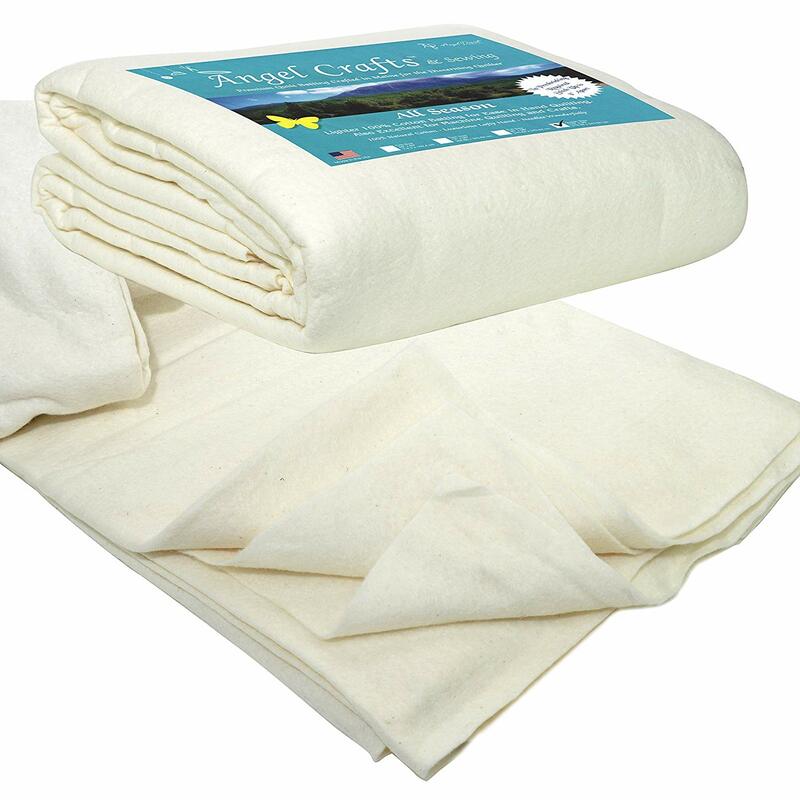 As a customer, you get more loft than weight as compared to conventional cotton batting. The light resin bond enhances its strength and durability. It is also needle-punched and machine-washable. The batting here offers close quilting which gives a flat and low-loft overall appearance. Further, increased space between stitching lines leads to a higher loft. It finds applications in children's quilts, quilts for charity, utility quilts and those for gifts. It also works well for batting in placemats, table runners and wall hangings or wall quilts. 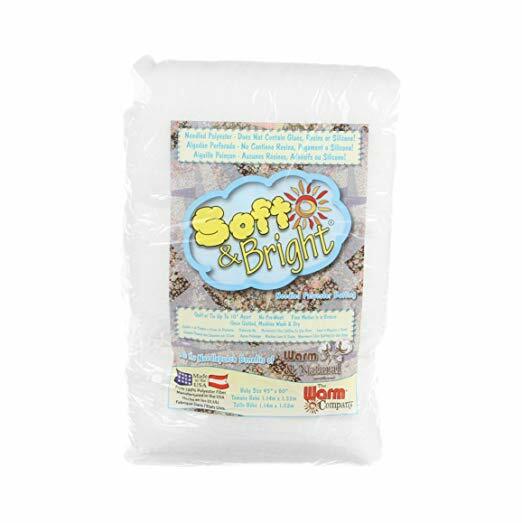 A product of the Warm Company, Soft & Bright batting is the best batting for baby quilt and apparel. This batting is made of 100% polyester. It is pre-washed and will not shrink. It does not contain any resins or glue. It is light and fluffy. These high quality polyester fibers are needle-punched into a very thin base material that keeps it from bunching or tearing. If you're into free motion quilting, you'll find using this a breeze. 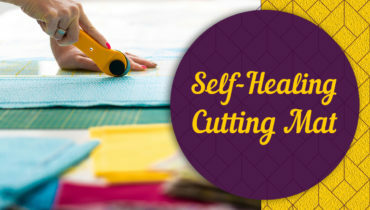 It can be used for hand or machine quilting. It finds applications in babies' bedding and quilts, duvet covers, crafts, quilts and wearable art. There is a distance of 10 inches between stitch lines. 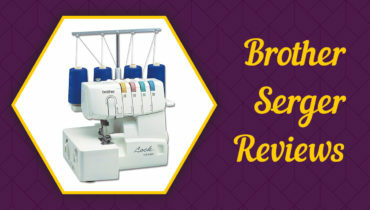 These three quilt batting reviews of premium products will give you top-class quilts or any other related products that you might want to handcraft. Choose from these or any others in the market that come close to these, and you'll be the proud craftsperson of extremely useful and good-looking products.